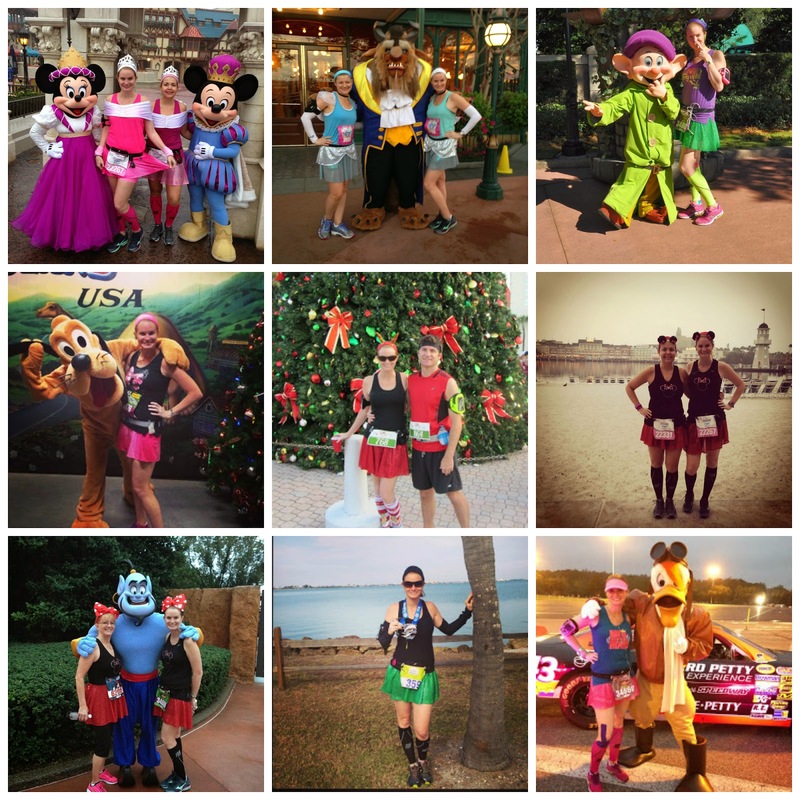 Most of my race skirts, including those shown above (with the exception of the Cinderella, top middle) are from SparkleSkirts. I own multiple colors and versions and they are super comfortable. I have ran every distance from a Full Marathon to a 5K in a Sparkle Skirt. 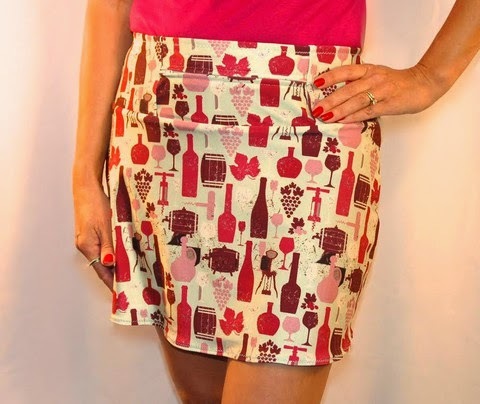 SparkleSkirts recently came out with the Wine a Little running skirt, which I LOVE. I think this would be perfect for Rock n Roll New Orleans Half in January! SparkleSkirts come in a variety of options - SparkleTech, SparkleLight, Slim Cut and HikerChic. The SparkleTech, Slim Cut and HikerChic has built in shorts with the HikerChic's being 1" longer. The SparkleLight does not have built in shorts so you can wear your own favorite pair. The Slim Cut is more form-fitting. I have both the Sparkle Tech and Sparkle Light (the pink skirt is a Sparkle Tech and all others are Sparkle Light). One lucky winner will receive a gift certificate valid for $70 at the Sparkle Skirts online store. Visit www.sparkleskirts.com and let me know in a comment below which SparkleSkirt you would select if you won. You should see a Rafflecopter Widget below this - after you comment, go through the widget to gain your first entry and unlock more chances to win. If it doesn't appear right away, please give it a few minutes and refresh. Electric Slide would be great for my teenage daughter. The Saucy Wench and Sweet Skulls are the cutest EVER! I love the wine one too, because we both run for WINE!! Anything in slim-cut! I've been dying to try them out. ooh...i love the electric slide!! I'd get a white skirt for my Eve and Captain EO costumes! I would love the Little Mouse one! I would like a Countess Blue skirt. You always look so cute in your sparkle skirts!!! Just found your blog - I love it!